Are You Having Trouble Obtaining Service? Franktronics has partnered with Cox Business Services to help our customers obtain the fastest internet speeds available to them. 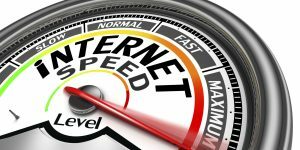 If you live in a region supported by Cox Business Services, and have been unable to obtain high speed internet, contact Franktronics for assistance. Franktronics has access to dedicated sales and technical staff with Cox Business and can work with them to determine the best options for your business. Call us at 804-642-5233 for more information. Not Sure If You Have the Right Service? Do you already have Cox services but your internet connection seems slow? Franktronics can work with your business and our Cox Sales Agent to ensure you have the best service plan for your business. In some cases, we’ve been able assist our customers in upgrading their internet speeds for no additional costs. In other cases, we’ve recommended upgrades to improve a business’ performance. In either case, Franktronics will work with you to ensure you have the best plan for your business! We have a proven track record of finding solutions for our customers after they were told Cox services were not available.